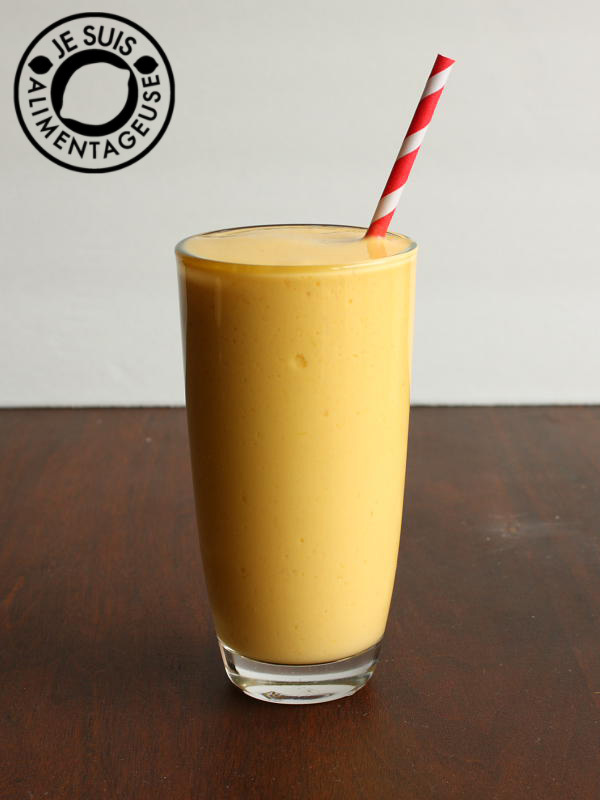 Mango Lassi: a milkshake drink that’s fresh and full of mango goodness. Some of you may be aware that I am currently doing a MA in Translation Studies. My academic work doesn’t often permeate my blog, but recently, one of my professors suggested that most people who pursue translation as a career often have identity issues. From just my general knowledge of certain translators, I almost have to agree. Many famous translation theorists have been displaced Jews, who were infamously displaced in the early 1900s. Even today, many translators are natural bilinguals who have either immigrated, emigrated, or been raised in a micro-culture inside a large culture (e.g. I was raised in a micro-Vietnamese culture in a tiny Canadian town). You’re probably asking yourself why I’m telling you this. Or why are there theorists on translation? Who cares? Well, I do. But that’s a different can of worms. The point of that whole paragraph was to kind of announce to the blog world that I do, in fact, have identity issues. I don’t know where I belong. 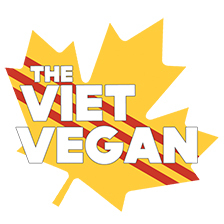 I’m too Canadian to be Vietnamese, but I’m too Vietnamese to be Canadian. But from growing up in a Vietnamese home, I didn’t experience a lot of things that many Canadian children experience. We don’t celebrate Easter, Christmas, or any other Judeo-Christian holidays. We went to temple, and I played around the pond at the temple grounds with other Viet children. My mom didn’t bake cookies. She didn’t bake sweets at all actually. She made Vietnamese bean desserts, and jello made with agar agar (Mmm coffee, pandan, and coconut flavours!). We ate rice every day from little bowls and used chopsticks. My mom made sandwiches for my lunches but I hated them. I didn’t get it. I would rather have had fried rice. Or bÃºn thá»‹t nÆ°á»›ng. But whenever I go to Vietnam, I tower over everyone because nutrition in Canada is different from nutrition in Vietnam. 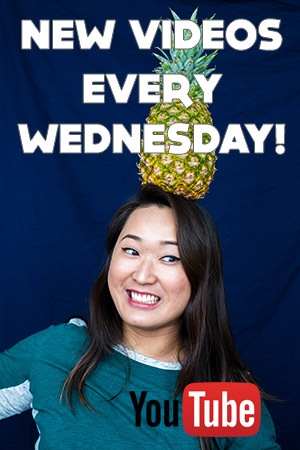 I’m chubbier than your average Vietnamese girl (again, because of nutrition), although I would like to say that I am average sized for a Canadian. My Vietnamese is broken, I’m too used to using a hybrid of Vietnamese and English with my parents. And now that I’ve lived away from home for almost 5 years, my Vietnamese is used less and less everyday. Because of my vegetarian diet and my aversion from stir-fries (I made stir fry pretty much all the time for my first and second year of university. Can’t eat it anymore), I’ve been making a lot of “Canadian” style soups. And I love butternut squash, which is pretty unheard of in Vietnam. I’m pretty sure butternut squash is my favourite food, and my diet is not typically Vietnamese anymore. I will still pick a bowl of rice for breakfast over cereal any day though. But I digress. My identity issues have made me so sympathetic to the difficulties and the duties of a translator. Should we stay invisible? Are we doomed to stay in the limbo that is intercultural-ness between our working languages? So I’ve made a smoothie that is stuck in the limbo, like me. I used Greek yogurt, which is pretty North American (despite the Greek adj. ), but I used rice milk (you can use soy milk, which is more common in Vietnam than cow’s milk), and used one of my favourite fruits ever. Yellow mango. Which is enjoyed both in Vietnam and in Canada. Mangos are often made into a drink, usually in Vietnam you hear it being called sinh tá»‘ xoÃ i, similar to the avocado shake I made that is called xinh tá»‘ bÆ¡. But here, with all the Viet/Thai fusion restaurants, these drinks are typically called mango lassi. 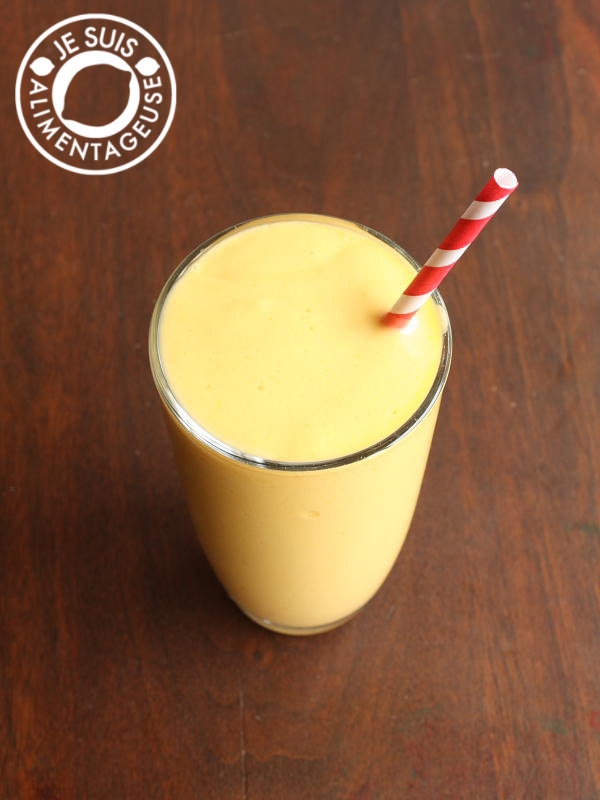 It’s an easy, and healthy smoothie that will hit the spot for your sweet tooth if you use ripened mangos. Yumm. Put ingredients into a blender and blend until smooth and creamy. Pour into a glass and drink! Thanks Sadie! I did not know that, but it seems she's been inactive since 2011 =( Also, Hannah Hart, famously known on YouTube for My Drunk Kitchen, is a Japanese-English translator and editor. Andrew told me about that little tidbit. You're very welcome! Yuss Vietnamese FTW!